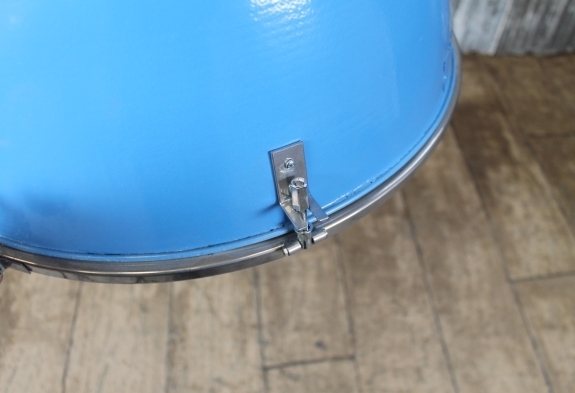 Please note: this listing is for one industrial light fitting only, although we do have more available to purchase. 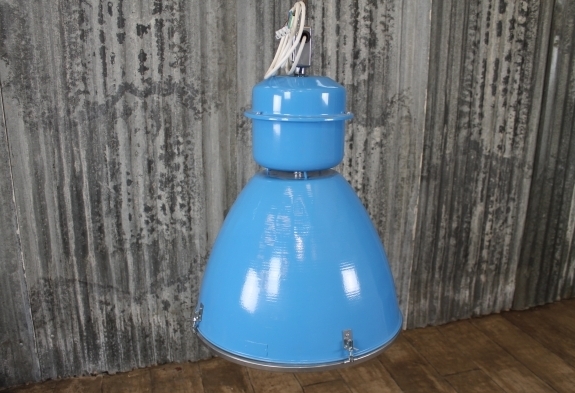 This industrial light fitting is a lovely addition to our range of vintage and industrial lighting. 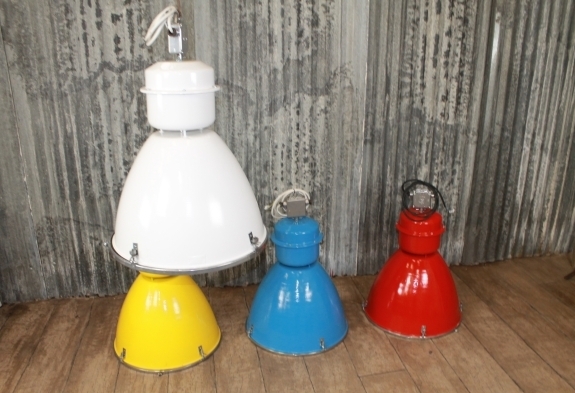 These large lights have been totally reconditioned and are available in a selection of colours: red, blue, yellow, white, black, silver, orange and mint/turquoise. 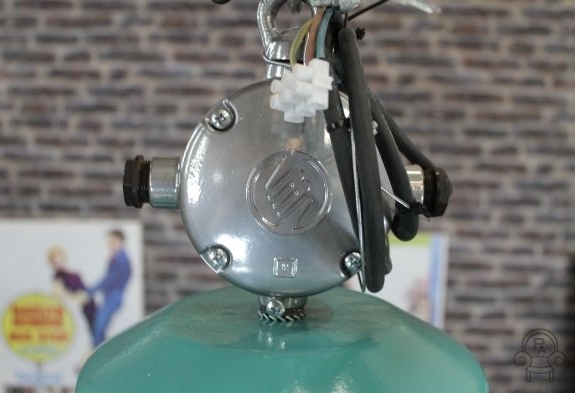 These items would make a real statement in any home, restaurant or commercial property. 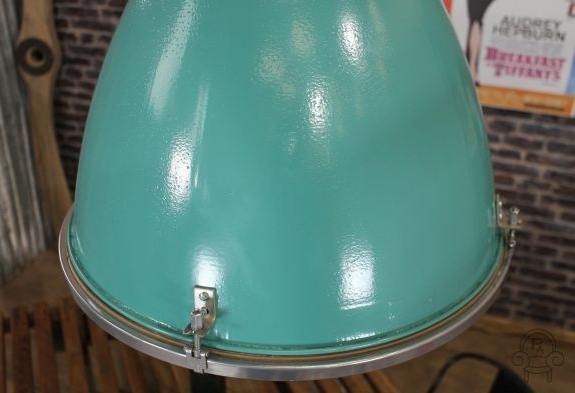 The lights are all in an excellent condition and have been totally rewired and repainted. We are able to post the light, but we cannot guarantee the glass. 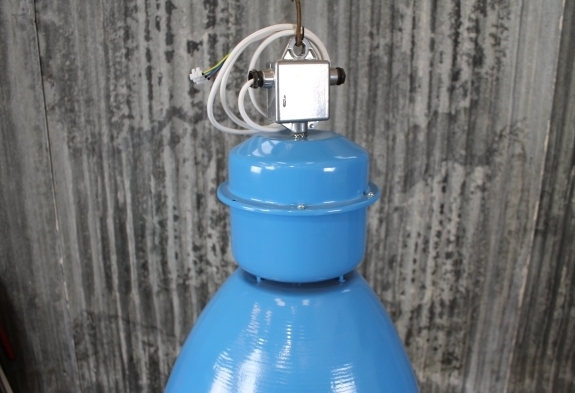 Please note, this listing is for one large industrial light only. 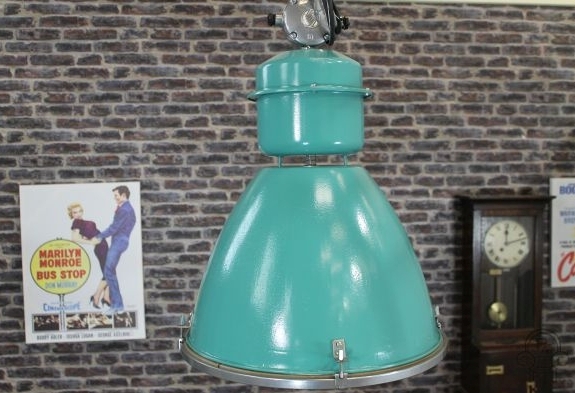 This large industrial light is a great addition to our range of vintage and industrial lighting. 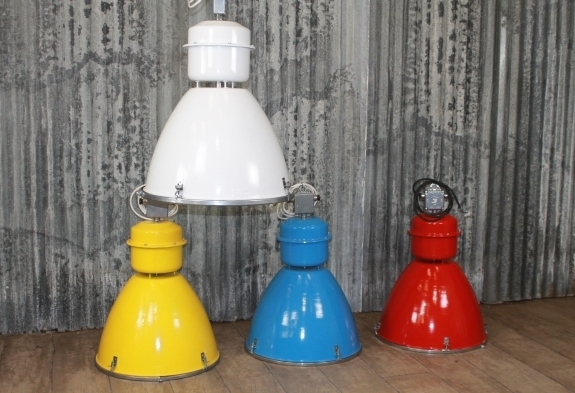 We have these totally reconditioned industrial lights available in a selection of colours: yellow, blue, black, red, white, orange and silver. 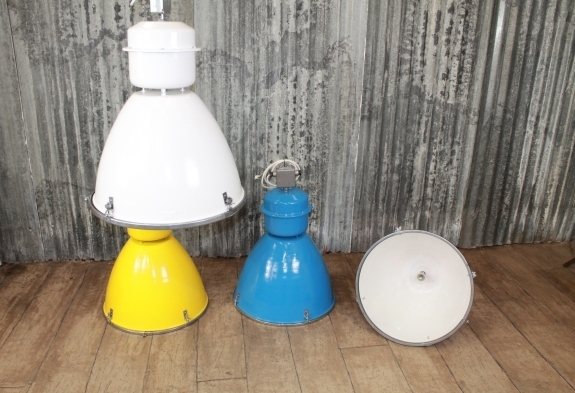 These lights would make a real statement in any home, or in a commercial property. 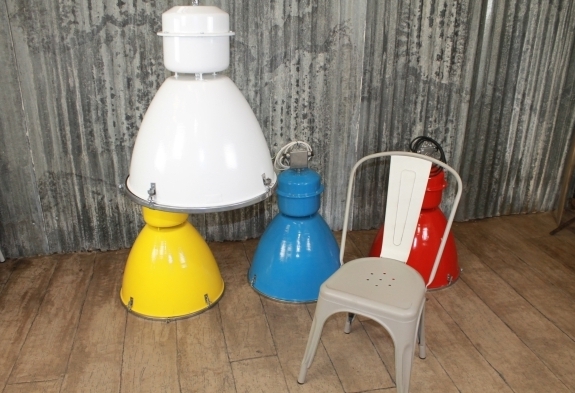 The items are all in an excellent condition and have been completely rewired and repainted. Please note: other items photographed are not included in this listing. Please note, if you are not happy with the delivery cost quoted, you are more than welcome to arrange your own delivery or collection. 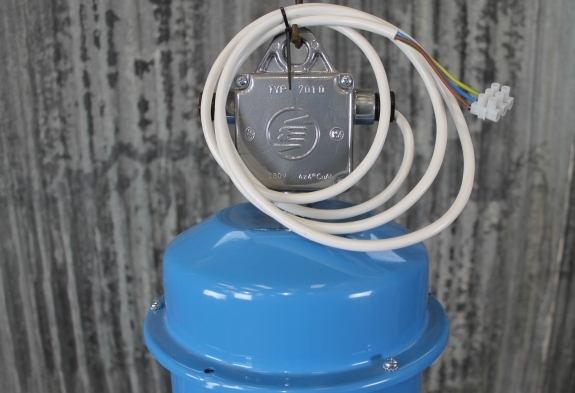 Please be aware that our items are unfortunately not insured with any other courier service that you arrange and use.